The #airlines and #airports of #Ukraine are showing #record #growth. In 2017, there were more air #passengers carried than ever before. The passenger #volume of the Ukrainian airports also reached a #historical #maximum and was 16,499 million passengers, which represents an increase of 27.6%. Reasons for the increase include the lifting of EU #visa #requirements, the #development of #tourism and the improvement of the #legal #framework. Aviation is developing most dynamically of all transport sectors in Ukraine. In 2017, domestic airlines carried a record number of passengers. In 2017, the number of passengers transported by the Ukrainian airlines increased by 27.5% compared to 2016, amounting to 10.554 million – as reported by the State Aviation Service of Ukraine. International passenger traffic was 9.613 million passengers, showing an increase of 28.6%. In the course of 2017, Ukrainian airlines operated 92.2 thousand commercial flights – an increase of 16% compared to the previous year, including 77.7 thousand international flights, which is 14.4% more than in the previous year. In addition, passenger traffic at Ukrainian airports in 2017 was as high as ever. For example, Kyiv Boryspil International Airport, the country’s largest airport, has set a new annual record: the airport served 10,554,757 passengers in 2017, 22.1% more than in 2016. Up to now, the annual passenger volume was highest in 2016 and amounted to 8.65 million passengers. Before the war, 2012 was a record year for the country’s major airport: back then it served 8,478 million passengers. Lviv Airport also achieved an increase in passenger traffic of 46.3% in 2017 compared to January-December 2016. The growth of passenger transport is a positive signal both for the economy of the country and for the tourism industry of the regions. 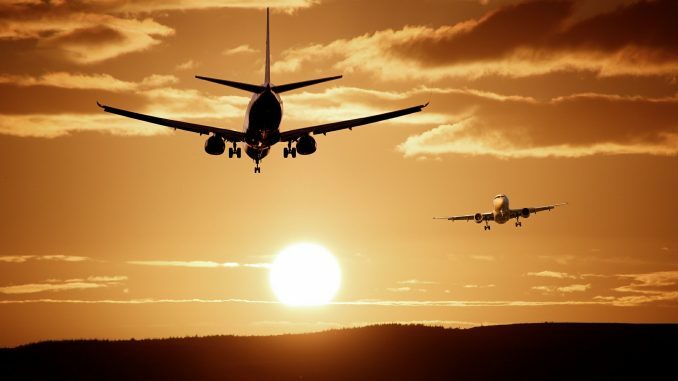 The growth in aviation attracts new competitors to the Ukrainian market and thus stimulates competition on the routes, which may lead to a reduction in ticket prices.